Nevo Parudimos along with six other international partners: Egyutthato Kozossegepito Egyesülete, Asociacion Munticultural Nakelamos (Spain), Roma (Macedonia), Integro Association (Bulgaria), Youth Express Network (France), Futuro Digital (Italy) is implementing the project ,, Roma Youth, European Youth 4 ” (contract no. 2016-2-RO01-KA105-024898). The implementation period of the project is 01.08.2016 – 31.07.2017. The main goal of this project is to train 21 young Roma and non-Roma people from 7 countries by using the Guide – ,, 9 steps in working with young Roma ‘to learn how to work with Roma young people and understand them better. Training: During 16.01.2017-24.01.2017 Nevo Parudimos association with the above 6 partners has implemented the first phase of training that took place in Herculane, Caras-Severin county Hotel Ferdinand. At the end of the first part we trained all 21 volunteers and youth workers to use the ,, 9 steps in working with young Roma ” in order to help them work in their local comunities and to understand better how to aproach Roma young people. To train ​​21 young Roma and non-Roma to use the practical guide ,, 9 steps in working with young Roma ‘. To teach 21 participants so they know the traditions and history of Roma. As a result of this training, the 21 participants have acquired more knowledge about how to work with young Roma, have learned what it means to work with young people, and have planned a series of activities for the following six months back home and changed experience and information. 2.Practice Part: Teams of participants in each partner country have taken a set of activities that should be accomplished back home with a group of young Roma. They agreed to meet regularly and plan out their activity during training activities conducted to the second meeting using the ,, 9 steps in working with young Roma ‘. The goal is to form a group of young people at local level to organize an activity with their support for other young people in the local community where they come from. Their results will be shared with other colleagues during the seminar to be conducted in June 2017. 3.The best practices seminar, the second meeting: This project’s activity will take place again in Romania in Marabu Camp between 01-09.06.2017 at Milcoveni Village, township Berliste, Caras-Severin county. This activity aims to provide the opportunity of our 21 participants to share their own experience and find joint solutions to possible problems that they might have encountered in practical work. The results of this project will be to train 21 youth workers specialized in working with Roma young people and to capacitate 7 NGO’s from 7 different countries to develop more professional activities with young Roma. The 21 patticipanti will acquire as much knowledge about Roma and cooperation between Roma and non-Roma youth to be more closely in the future and they will be more motivated in developing quality activities. 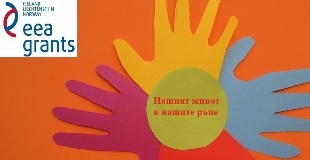 In what our partner organizations are concerned we want to increase the international cooperation and networking, enhancing their experience in other international projects, raise the profile of organizations locally, nationally and internationally, and last but not least is increasing their expertise in youth work with young Roma. On other target groups we expect young Roma and non-Roma to increase their interest and they will be more involved in the activities of local partners; we also expect that this project will increase the involvement of young Roma in additional Erasmus+ activities. Also our desire is to furth3er develop our ,, 9 steps in working with young Roma ‘guide. The project is funded by the European Commission, Erasmus +, Key Action 1 Mobility of young people, youth exchanges.